Best Barns offers storage sheds at a much lower price than most wood shed kits. To accomplish such low prices we set up the customer to work with their local Home Depot who will deliver all of the exterior finishing materials. Do-it-yourself wood shed kits from Best Barns have most of the tedious work already done for you. For example, the roof sheathing and the siding are not pre-cut but they only need straight and easy cuts done by you before attaching them to the roof trusses and the shed walls. Why choose to buy a Best Barn brand shed for your new wood shed kit? 1. 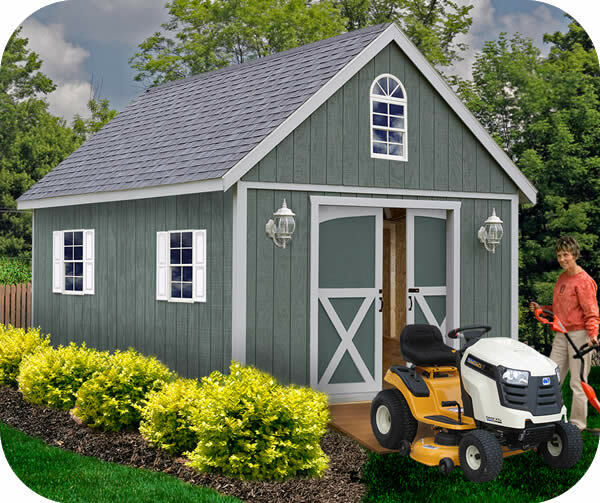 A do it yourself shed kit offers you control over the quality of your new shed! You'll have the power to know it was done right! 2. 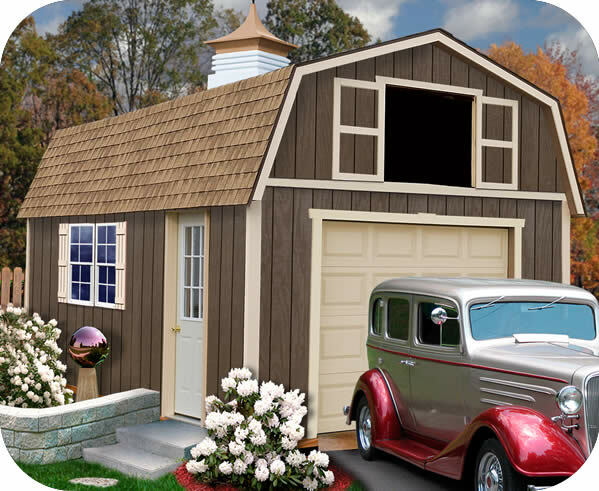 Best Barn sheds puts the choices of the style in your hands! You'll choose the colors of paint or stain used as well as the style of shingles. Match your home for a professional look! See chart for shingle requirements for each shed. 3. Hiring a construction company to build a shed is super expensive! Why throw your money away when you can get an easy to assemble shed kit and just get it done yourself? 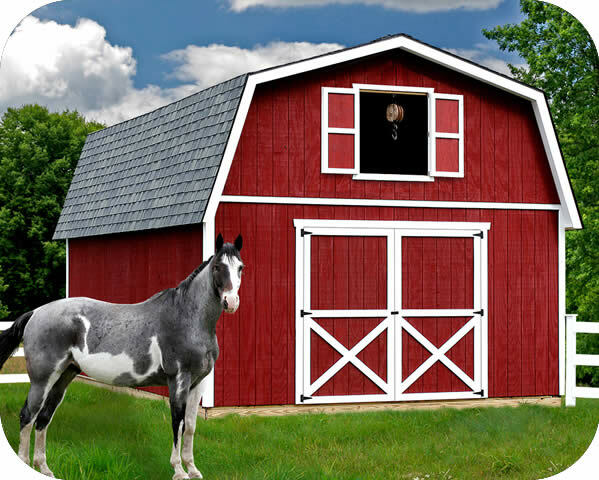 Our Best Barn sheds do not require special tools and are made for the novice to assemble! If you have questions about our Best Barns buildings please contact us and we will do our best to assist you! Our North Dakota 12x12 wood storage shed is in a class of it's own with pre-built sliding pocket doors! Siding is primed and ready to paint! The Brookhaven DIY wood shed kit provides plenty of room for all your storage needs. Featuring a large loft with high headroom. 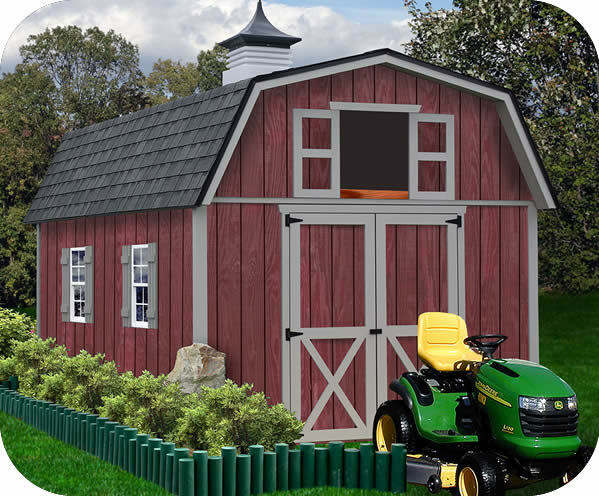 Our Easton 20x12 wood shed kits are pre-cut and great for dual entrance needs! Drive mowers in the side or access tools in the front! Our barn style 12x20 Denver wood shed kit is pre-cut and ready for quick assembly. 7' high walls and 12' center make it great for tall people! 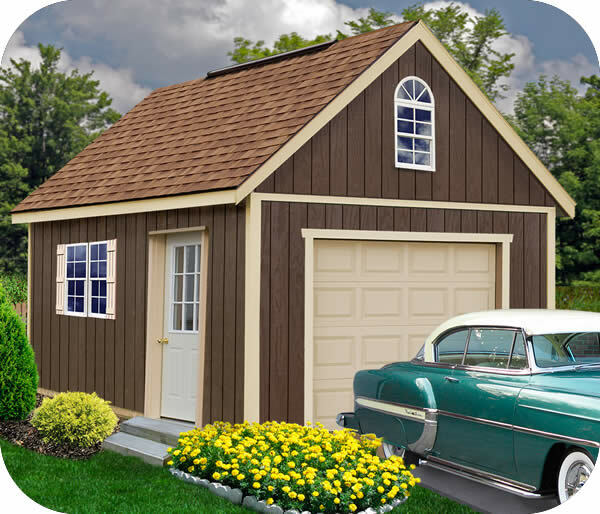 Our South Dakota 12x16 wood storage shed from Best Barns offers a great solution for those looking to match the vinyl siding on their home! The 12x16 Tahoe storage garage from Best Barns is the perfect wood shed kit for single stall car parking and overhead storage space! 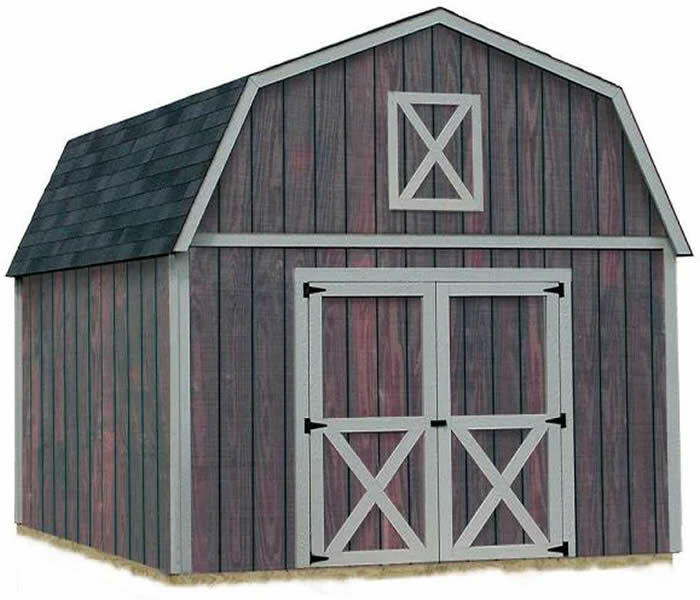 Best Barns offers the pre-cut Cambridge 10x20 with pocket doors. Provides plenty of space for storing your tools and garden equipment. 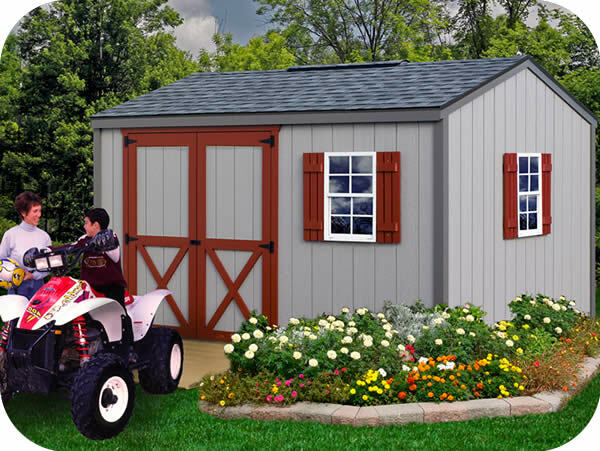 Our Millcreek 12x16 shed kits feature loft storage and a functional loft door! 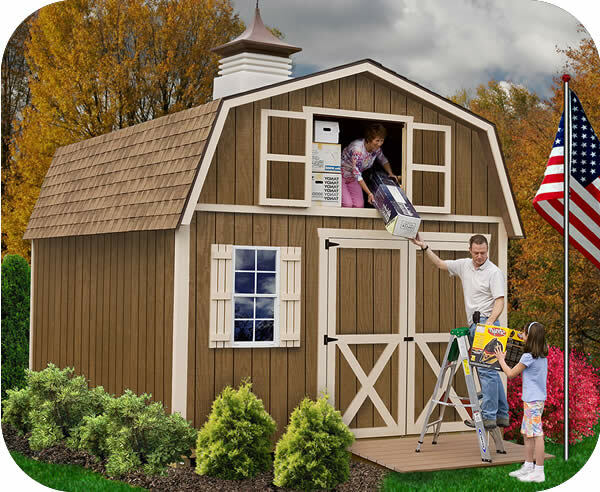 This shed kit is great for tall people with 7' tall side walls! Our North Dakota 12x16 wood storage shed is in a class of it's own with pre-built sliding pocket doors! Siding is primed and ready to paint! 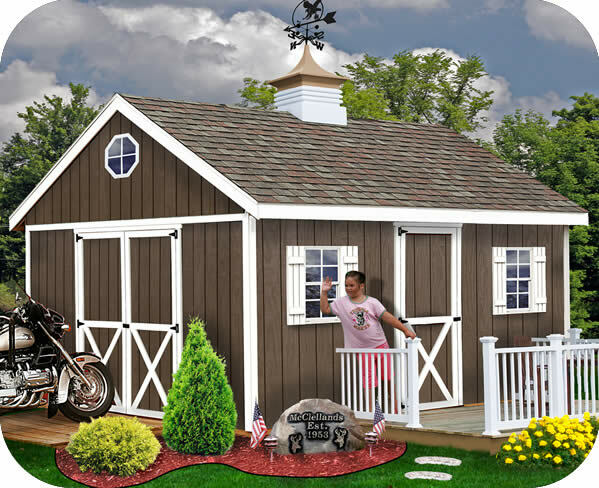 Add a single stall storage garage to your backyard with our 12x20 Sierra wood garage shed kit from Best Barns! Everything is pre-cut! 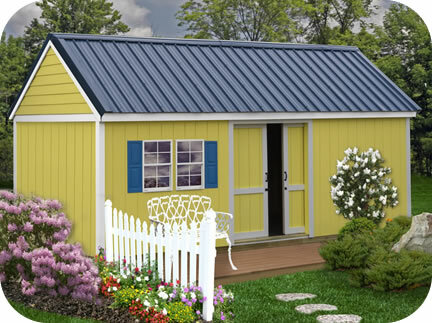 Our Brandon 12x20 storage sheds come pre-cut with ready to paint siding and swing open front doors! Use shed kits for instant wood sheds! Our South Dakota 12x20 wood storage shed from Best Barns offers a great solution for those looking to match the vinyl siding on their home! 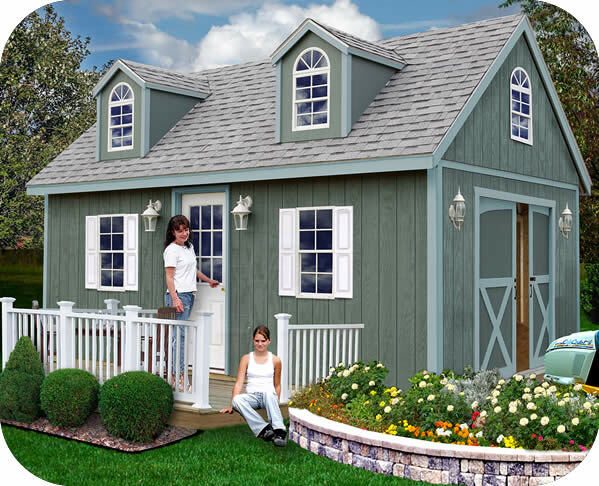 Our Millcreek 12x20 shed kits feature loft storage and a functional loft door! This shed kits great for tall people with 7' tall side walls! Our Glenwood 12x16 Best Barn wood storage sheds offer a full second floor upper storage loft and an option to add a garage door! The 12x20 Tahoe storage garage from Best Barns is the perfect wood shed kit for single stall car parking and overhead storage space! 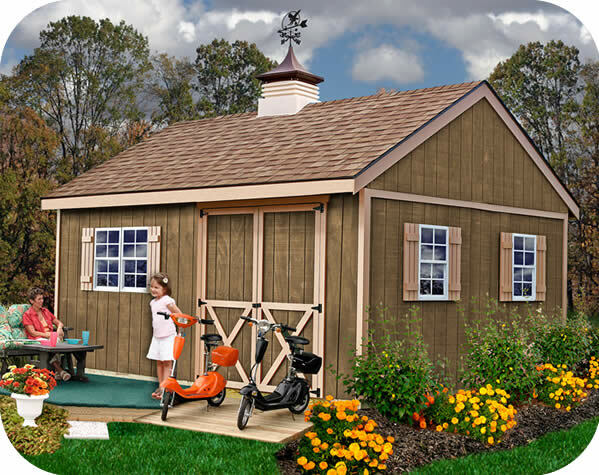 Add a single stall storage garage to your backyard with our 12x24 Sierra wood garage shed kit from Best Barns! Everything is pre-cut! Our North Dakota 12x20 wood storage shed is in a class of it's own with pre-built sliding pocket doors! Siding is primed and ready to paint! 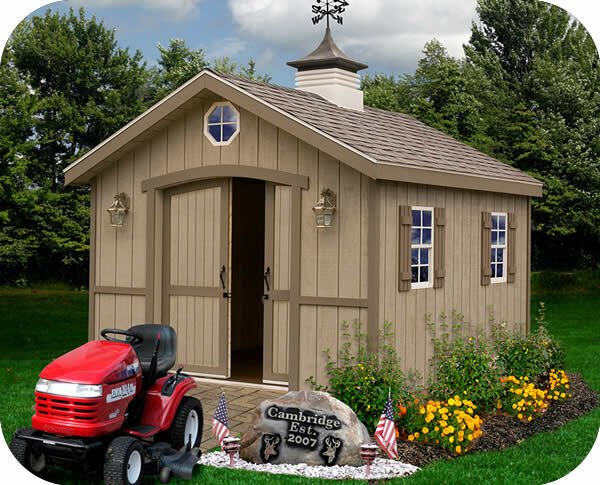 Our Glenwood 12x20 Best Barn wood storage sheds offer a full second floor upper storage loft and an option to add a garage door! Our Belmont 12x16 Best Barn wood shed kits feature an upper storage loft with 4' 3" headroom and a lower level with 8' 1" headroom. Our Belmont 12x20 Best Barn wood shed kits feature an upper storage loft with 4' 3" headroom and a lower level with 8' 1" headroom. 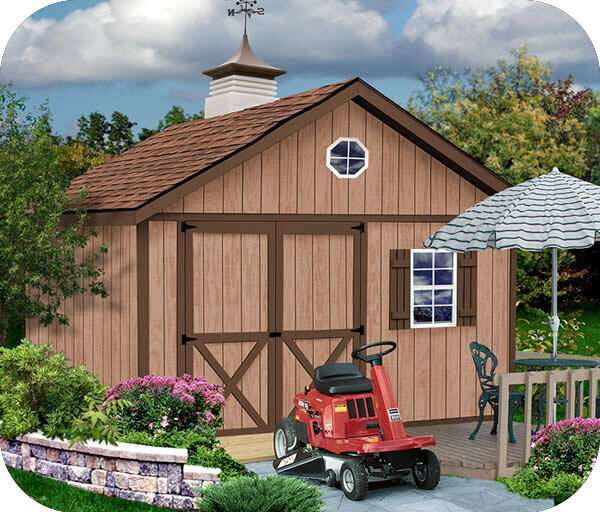 Our Glenwood 12x24 Best Barn wood storage sheds offer a full second floor upper storage loft and an option to add a garage door! Our Belmont 12x24 Best Barn wood shed kits feature an upper storage loft with 4' 3" headroom and a lower level with 8' 1" headroom. 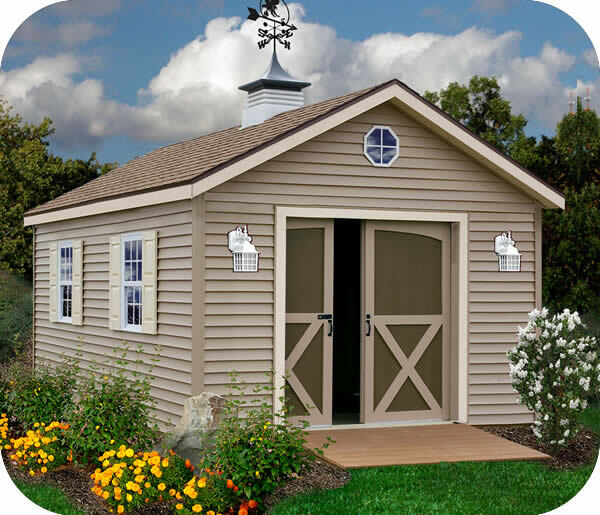 Our Arlington 12x16 Best Barn wood sheds include 1 front steel door, wood pocket doors, dormers, windows and an upper storage loft! Our Arlington 12x20 Best Barn wood sheds include 1 front steel door, wood pocket doors, dormers, windows and an upper storage loft! 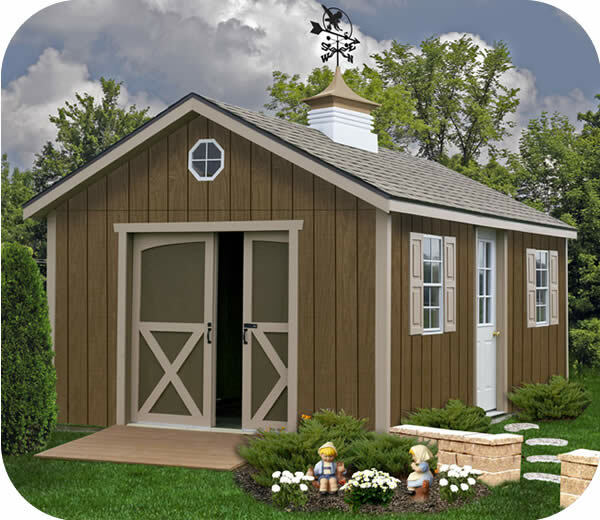 Our Arlington 12x24 Best Barn wood sheds include 1 front steel door, wood pocket doors, dormers, windows and an upper storage loft! Our Richmond 16x20 wood shed or cabin kit offers 8' 1" 1st floor side walls and a full size 2nd floor storage loft with 7' 1" headroom! 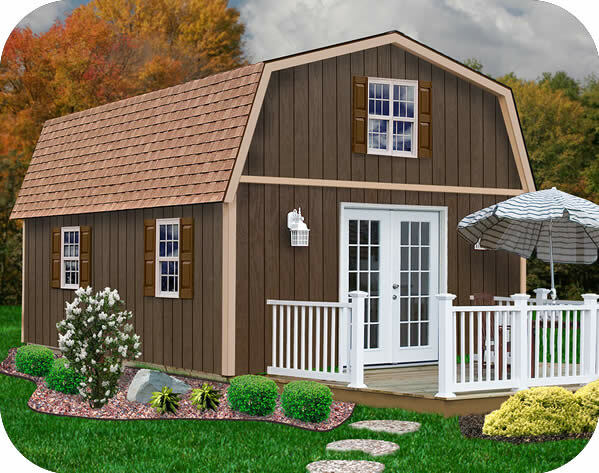 Our Richmond 16x24 wood storage shed or cabin offers 8' 1" 1st floor side walls and a full size 2nd floor storage loft with 7' 1" headroom! 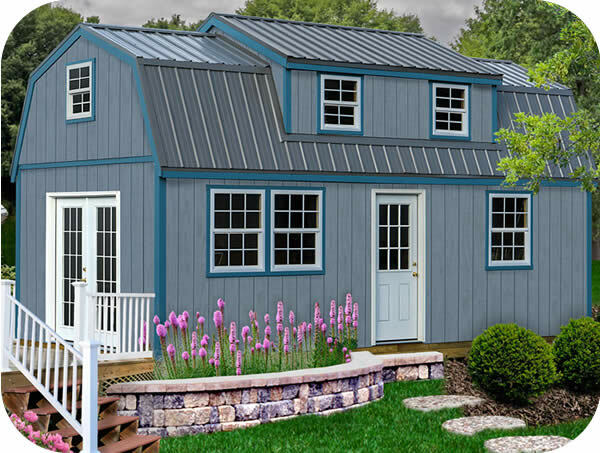 Our Roanoke 16x20 storage shed offers extra large 8'W x 7'H doors and a full size 2nd floor storage loft with 7' 1" headroom! The Sentry Buildings Lakewood 12ft. x 18ft. shed kit provides a large amount of space for storage of your lawn and garden items or use as a workshop. 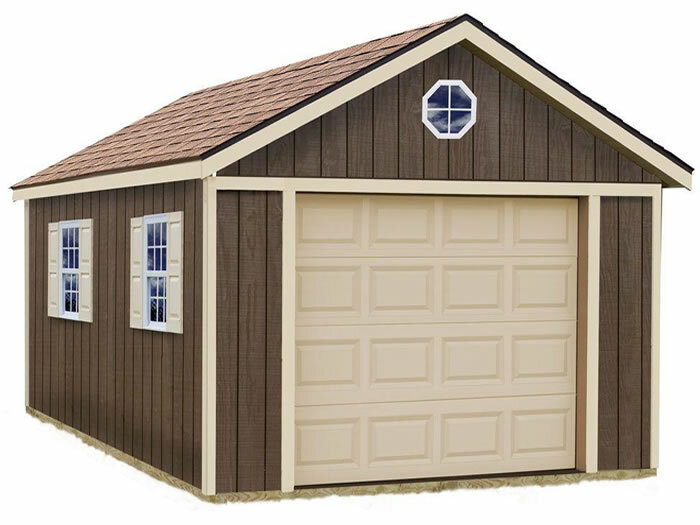 Our Roanoke 16x24 storage shed offers extra large 8'W x 7'H doors and a full size 2nd floor storage loft with 7' 1" headroom! 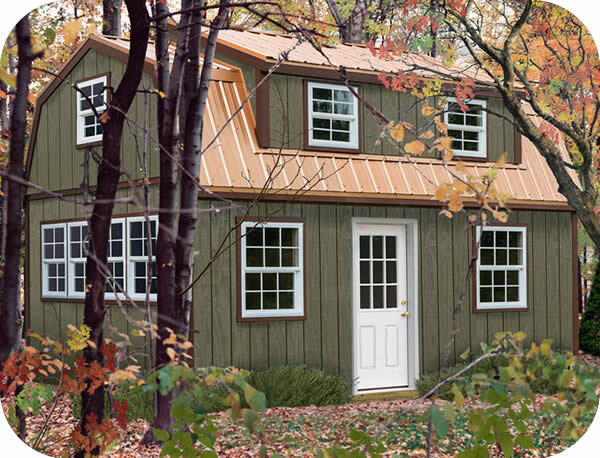 Our Richmond 16x28 wood storage building or cabin offers 8' 1" 1st floor side walls and a full size 2nd floor storage loft with 7' 1" headroom! The Sentry Buildings Lakewood 12ft. x 24ft. shed kit provides a large amount of space for storage of your lawn and garden items or use as a workshop. Sheds Direct Stores, LLC. All rights reserved.